Last month, the United States Supreme Court made news by declining to review an Alabama case in which grandparents had sought visitation rights with their two teenaged grandchildren. After a lower court granted them specific visitation rights, the Alabama Surpreme Court overturned by the Alabama Supreme court which struck down Alabama’s Grandparent Visitation Act on grounds that it violated the parents’ right to due process. The U.S . Supreme Court’s refusal to review the case, makes the Alabama Supreme Court’s ruling the final word in that state, at least for now. All 50 states have some form of statute specifically allowing grandparents and other third parties to seek custody or visitation rights under various circumstances but the laws are not uniform among the states. The issues are of such interest nationwide that the Attorneys General of five states filed so-called amicus or friend-of-the court briefs. 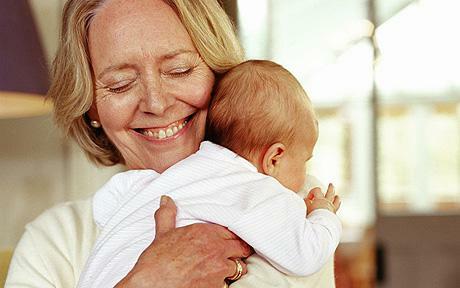 In most states, grandparents may seek custody and other rights if the parents have first been declared unfit. Often, they are allowed to intervene in divorces as well. This happens when the party most likely to obtain primary custody is the one least likely to foster a relationship between the children and the intervening grandparents. A more difficult question and one which remains unsettled as a result of the Supreme Court’s action, is what happens if an intact couple, who has not been found to be unfit, cuts off contact between their children and their own parents. That was the situation in the Alabama case. In many states — Alabama among them –the answer is nothing much, at least not through the courts. The debate over whether grandparents could be excluded in this way came to a head back in 2000 with the U.S. Supreme Court case of Troxel v. Granville in which the high court held that the interest of parents in the care, custody, and control of their children was perhaps the oldest of the fundamental liberty interests recognized by the Court. The court went on to say that all courts must presume that fit parents act in the best interest of their children, but the court did not clarify the degree of proof that would be necessary to rebut that presumption. The Connecticut Supreme Court has looked at various aspects of this issue several times since the Troxel case was handed down. As the law stands in this state now, in order to seek an order of visitation with children over the objection of the parents — at least when those parents remain an intact couple — grandparents must meet a very heavy burden of proof. First, they must allege specific facts that tend to prove that they already have a relationship with the child that is similar in nature to a parent-child relationship. Next, they must allege additional specific facts that would show, if proven, that denial of visitation would cause “real and significant” harm to the child. Without those allegations, the court will not even have jurisdiction to hear the case. Assuming the petition contains the necessary claims, and the case does reach hearing stage, the grandparents must still prove their allegation by so-called “clear and convincing” evidence. This is a burden of proof substantially more rigorous than the usual standard in civil cases. In visitation disputes between natural parents, for example, the parent seeking visitation must only prove that the visitation sought would be in the best interest of the child. The Alabama Supreme Court’s ruling went even further by ruling that grandparents could not intervene to seek custody unless the parents had already been determined to be unfit. Although, grandparents who are estranged from their children would like to see uniformity in the laws governing their rights to seek custody and visitation, it is clear that no solution favorable to that group is ever likely to come from the courts. Instead, rifts between grandparents and their own children will need to be addressed directly or with the assistance of mediators or family counselling professionals. All of those options are dependent on the voluntary cooperation of the adults — something not always easy to achieve. While this truth may leave aggrieved grandparents feeling powerless, it is also true that any court battle over access to children is likely to do permanent damage to everyone concerned, including the children. One can only hope that grandparents , worried that their relationships with children and grandchildren might be disintegrating, and who understand from the outset that courts will not come to the rescue, will put their energies into reconciliation rather than confrontation before damage to the extended family becomes irreparable.